Subject: What’s the Difference Between GOOG and GOOGL Stock? Companies like Google undergo stock splits to increase the number of shares outstanding while lowering share price. The move doesn't affect valuation or any other fundamentals. 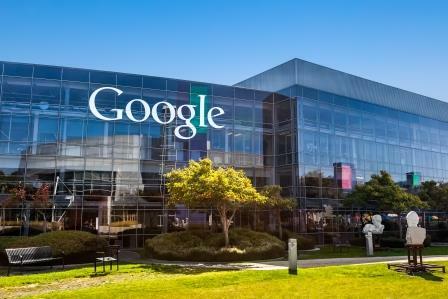 That's exactly what Google has done – its two-for-one split means that the company gained twice as many shares outstanding, while Google stock price lowered from $1,125 per share to about half that at $570 (on the day of the split). Google made its intent behind increasing outstanding shares very clear. Two years ago, the tech giant announced it would make the move to increase the 56% majority control of Google co-founders Larry Page and Sergey Brin and executive chairman Eric Schmidt. In a letter to shareholders in 2012, Page outlined the problem: stock-based employee compensation and acquisitions were undermining Google's corporate structure. Each GOOG stock the growing company gave out was having a diluting effect on upper management's majority position. "[Management has] protected Google from outside pressures and the temptation to sacrifice future opportunities to meet short-term demands," Page wrote. "We want to ensure that our corporate structure can sustain these efforts and our desire to improve the world." In other words, Google sees the sanctity of the upper management team as a major factor in Google's success, and wants to preserve that for the continued health of the company – and for the good of investors.